Pursuit of Poppy: Happy Halloween! 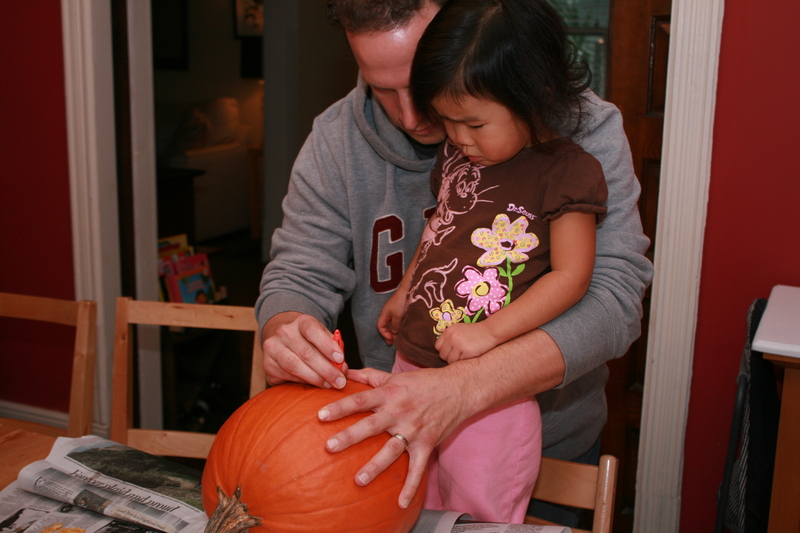 Poppy wasn't really that into pumpkin carving this year, but Marc still was! 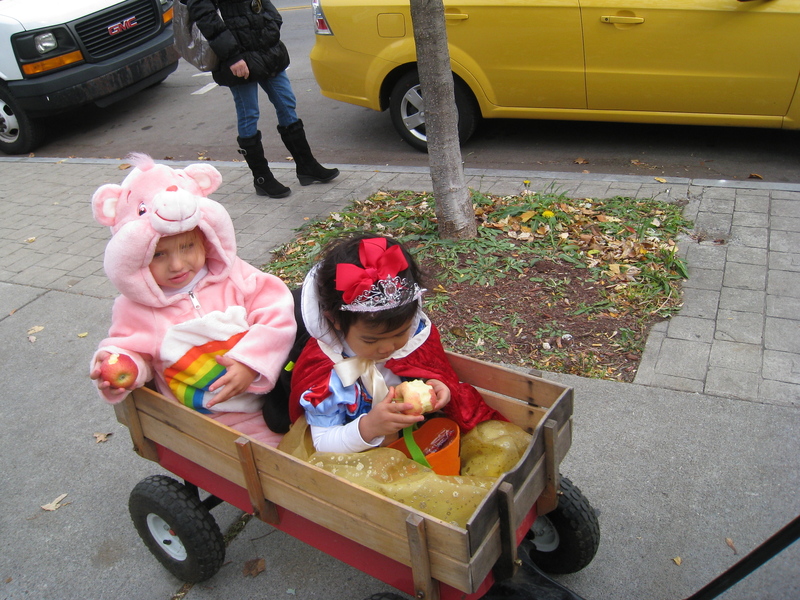 On Saturday we had some friends over and we all walked down to Elmwood, where all of the neighborhood shops were having trick-or-treating. It was a fun afternoon spent with friends and it was so nice to be able to dress up in everyone's costume during the day. 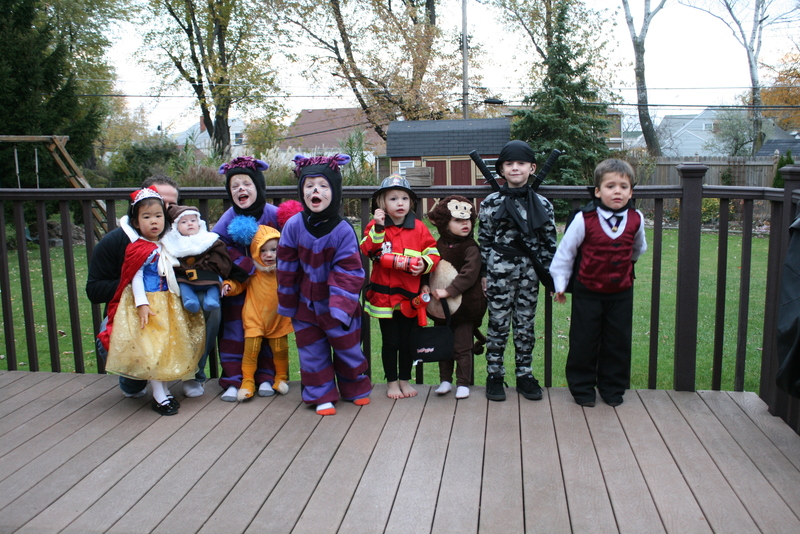 Then on Halloween we went to Scott and Jessica's to see all of the cousins in their costume. And this is where Sam finally made his debut as one of Snow White's dwarfs. 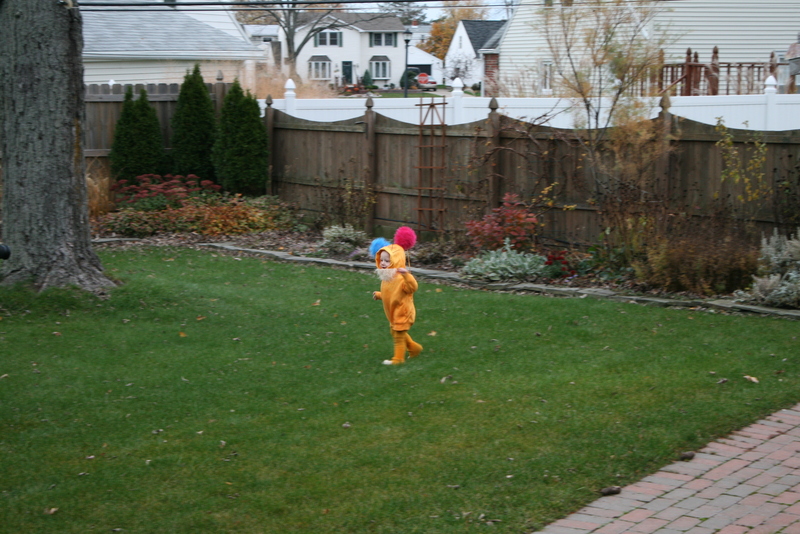 And the Louie the Lorax was spotted "speaking for the trees". 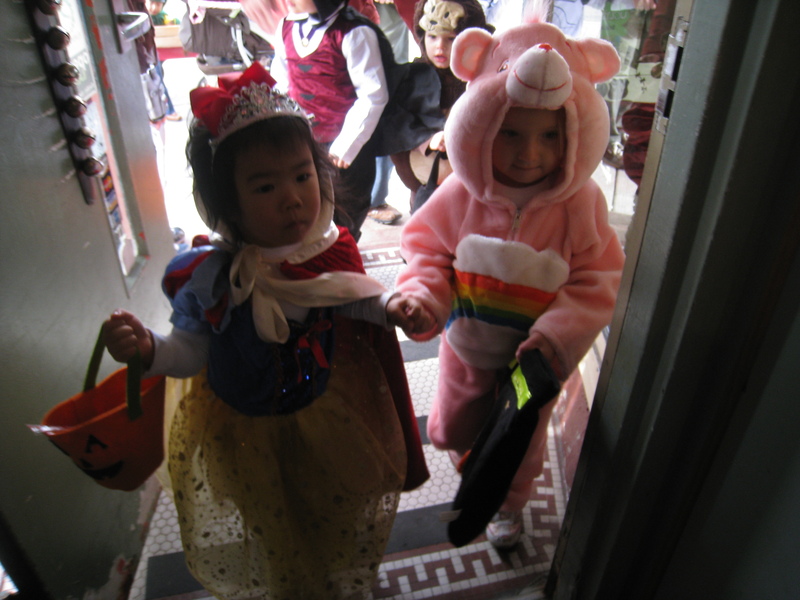 Trick-or-treating was a huge hit this year, even though it was so cold that we only made it to a handful of houses. 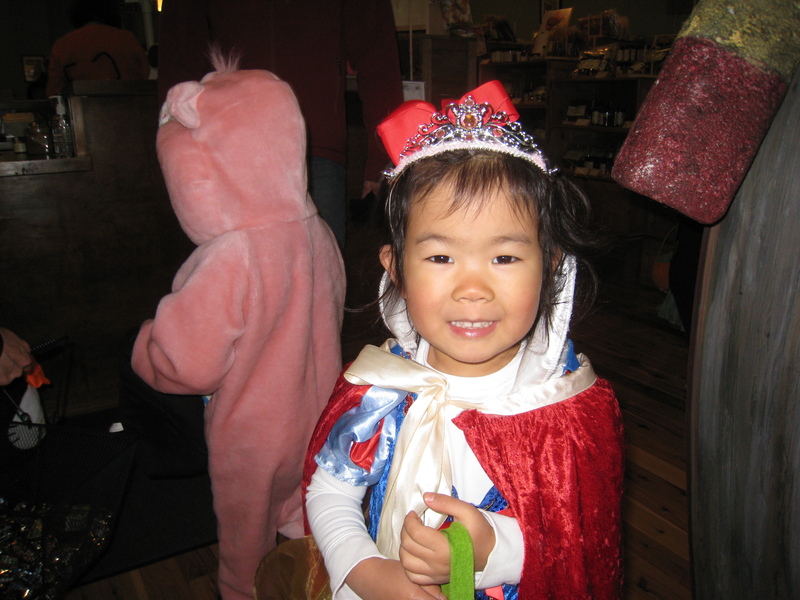 After each house, Poppy would proudly exclaim that when she gets home she is going to eat up all of her candy! As soon as we walked in the door, she dumped her loot and lined it all up like this. I remember doing the same thing when I was little, getting ready for the big candy trade with my brothers. 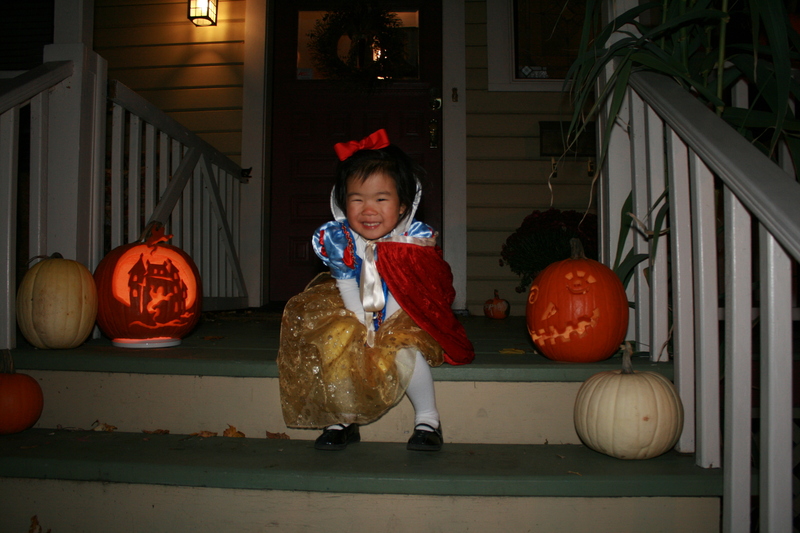 Luckily we were able to talk her out of eating everything that night, and now the rest of her candy is working well as bribes to get her to continue to nap each day! 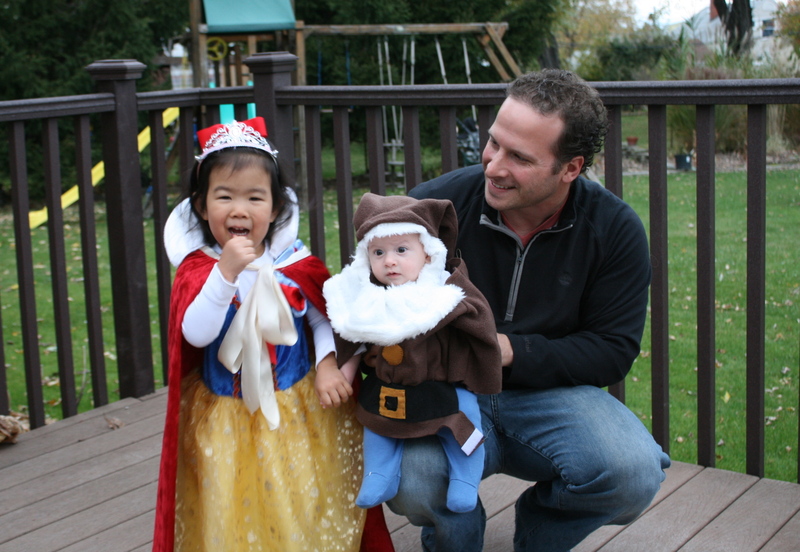 Love Snow White and her cute little dwarf! Oh my gosh... how cute is she?!?!?! And the dwarf costume is to die for! oh they look adorable!!!! sounds like a fun halloween! Snow White is beautiful and her little dwarf is so cute. 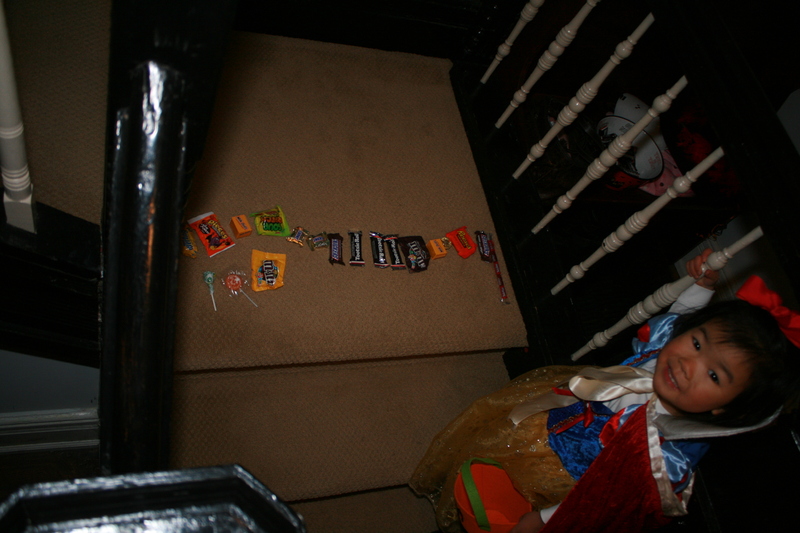 Her candy loot seems a bit light (if you were to ask Colin). 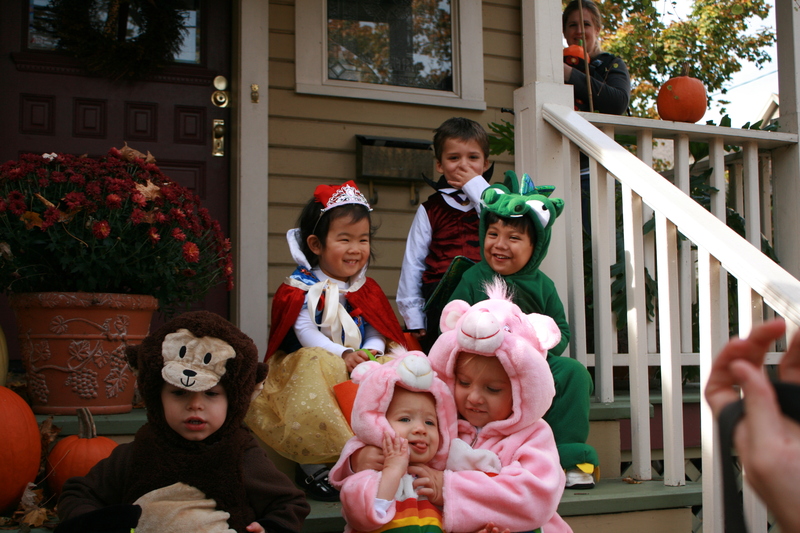 Love all the little kids in thier costumes!! Super cute! I LOVE the dwarf costume!!! Super cute idea!!! The dwarf costume...amazing. They look perfect! Love! I can't tell you how much I love that pic of Poppy and Brendan sitting on the front porch. It just catches them in the middle of something wonderful. They look like old friends sharing a great funny story. I love it so much!